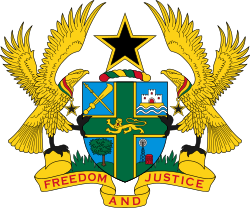 Every person resident in Ghana other than Armed Forces of Ghana and the Ghana Police Service shall belong to a health insurance scheme licensed under this Act. NHIS members can lodge complaints with the nearest NHIS office or NHIA in Accra. I have a new born baby. Do I have to register him before he can be treated under the NHIS? No. Your child can be treated using your NHIS card until he/she is three months old. However, your child should be registered by the time he/she is three months old. How long does it take to renew my membership? Can I renew my membership at a district office other than where I registered? Not yet. Subscribers will be notified when online renewal is available. If I have to undergo a surgical operation do I have to pay any fees to the hospital? If I use the amenity ward (VIP ward) will the NHIS pay? VIP ward accommodation is in the Exclusions List. How much do I pay to get my child under 18 years of age registered? Children under 18 years belong to the exempt category. Therefore you only pay processing fee. How much do I pay to get my 70 year old father registered? Elderly people 70 years and above belong to the exempt category. Therefore you only pay processing fee.